Today is Tuesday and I just got back from the gym – my second workout of the week. A week and a half ago I wrote a post with an update of my mouth injury and I knew I would have to take it slow to get back into the gym, but I’m almost back to 100% for my workouts. I still can’t lift anything too heavy that will make me clench my jaw/teeth or grinding my teeth in any way, but I can still go lighter weights for higher reps and keep up the intensity. Last week my workouts weren’t too good because of the days off, problems eating properly for the first few days (a lot of shakes and soft foods only), and my teeth were in pain a bit – but at least I got into the gym a few times. Lately I’ve been able to eat pretty much anything in my normal diet (eggs, chicken, steak, etc) and my mouth is feeling much better. Yesterday was a Chest/Biceps/Triceps workout and today was Shoulders/Back. Both workouts were solid and this week I feel good at the gym again. I have some more work on my teeth upcoming, but I’m hoping it won’t affect my workouts too much. I better get in as many workouts as I can before that though. Where I live in Canada the nice weather is FINALLY here, and that means some outdoors workouts! 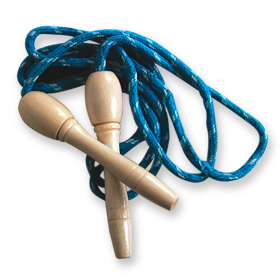 Today I’m heading over to a sporting goods store to buy a jump rope or skipping rope for some outdoor cardio workouts. I’m not a huge fan of cardio to begin with, but when you are stuck in doors running on a treadmill or riding a bike when the sun is out and it’s beautiful it is even less fun. Skipping is one of the best cardio workouts out there, and the added bonus is you can do it just about anywhere outdoors and get some sunshine at the same time! The best way to skip or jump rope for cardio if you are looking to focus on fat loss is intervals in my opinion. This can mean two different things depending on how good of shape you are in and what your preferences are. The first type of skipping interval you can do (and it’s what I prefer) is going really hard or fast for 30-60 seconds and then resting completely for 30-60 seconds, and repeat that for 15-20 minutes. The other type of interval skipping you can do is a non-stop 15-20 minute skip, but speed it up a little bit for 30-60 seconds and then slow it down for 30-60 seconds, and repeat that. You won’t be going as hard or fast as the first version, but your “rest” is an active rest skipping slowly so you will be working just as hard or even harder. Both are great types of skipping intervals and both would be great for fat loss. Try them both out and chose what you like better, or alternate between the two types of interval training each day you are doing cardio. On days that it is rainy out you can always skip inside at the gym (or home if you have high ceilings or on those days you can choose to do another type of cardio workout. I find that it is good to mix up your cardio anyways, so the rainy days that you were planning on doing skipping intervals you can do some other type of high intensity interval training on a cardio machine. Anyways I’m off to buy a new skipping rope as I lost my old one somewhere (luckily they are only about $10). Tomorrow is my leg/core day and I may add a skipping interval workout in there too if the rain holds off! 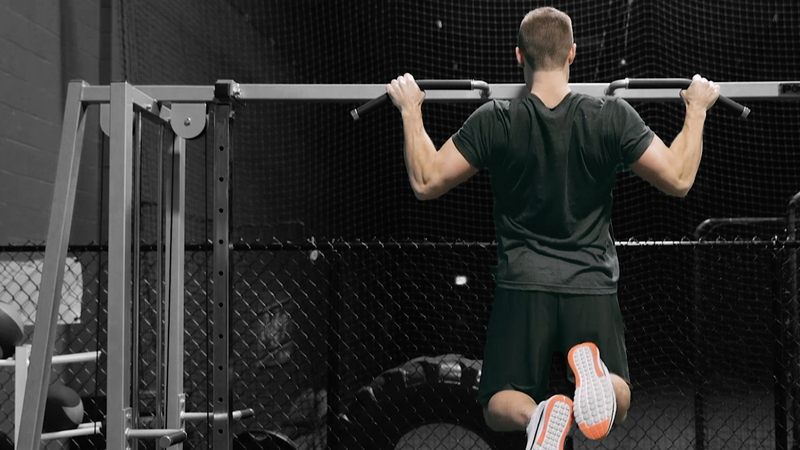 Can I Train for Strength and Size At The Same Time? Is Spin Class a Good Workout?